The 12-paged report which he said were a summary of papers on Africa’s Economic and Political integration, cast light on a possible united Africa since nothing makes us different from each other. 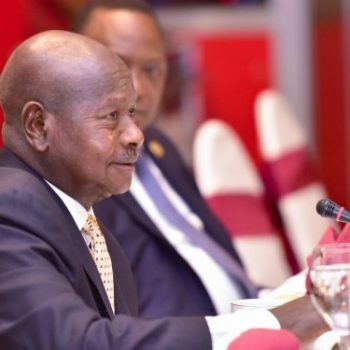 Museveni also said he did not agree with the Late Gadaffi on a continental government, but rather is for Nyerere’s strategy of forming strong regional federations. Museveni urged African leaders and intellectuals to look for way how Africans can immunize ourselves against, any and all threats against our survival, our sovereignty, our security and our prosperity in our land.